Dogs can be stubborn creatures. But when they’re a dog like Zeus the stubborn husky, they can be darn right demanding too. We’ve seen Zeus the husky regularly causing havoc; refusing to move from the car front seat or go for a walk when he’s comfily curled up on the couch. Zeus has a mind of his own and he won’t budge for anyone. He sure is one stubborn husky! 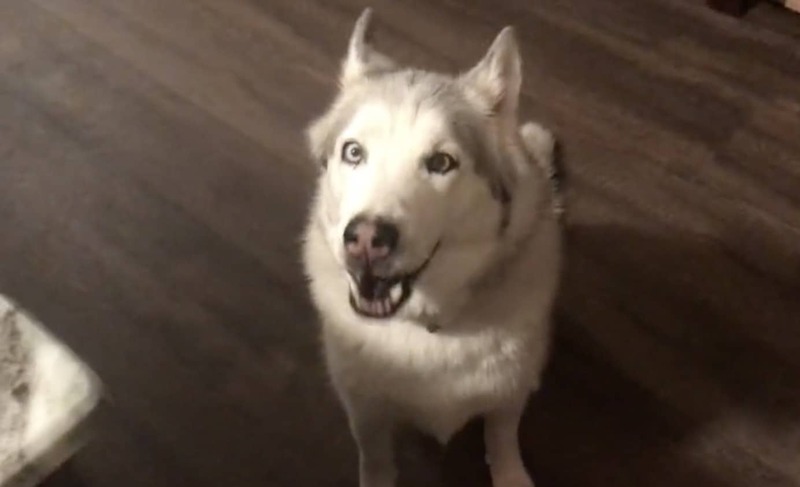 Well in this latest video we see Zeus being his usual bossy self, howling for his mom to pay him attention. He knows exactly how to get what he wants and what he wants is very specific. What is wrong? Why are you screaming? You were just out! Mom gets very confused when Zeus begins to howl at her after being let in the house. What could possibly be wrong? He has just had a treat and has been let inside, so what could possibly be bothering him? 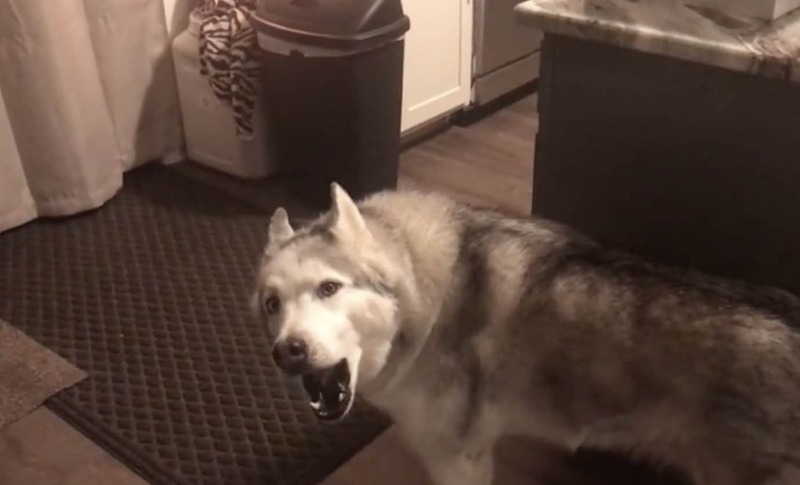 Zeus the stubborn husky leads his mom through the house and into the kitchen. He may stand close to his food bowl but it is full to the brim, so that can’t be the issue. But as he leads mom further through the kitchen it quickly becomes apparent what Zeus really wants. Zeus may have plenty of food and water in his bowl, but that’s not good enough for him. Oh no, Zeus wants more treats. Apparently, one just wasn’t enough when he was let inside the house.